CNN is promoting the globalist plan for a European superstate by uniting all of Europe into one country ruled by unelected technocrats, much like Adolf Hitler’s rule over Europe in the early stages of World War II. CNN even “interviewed” former ambassador Christopher Hill on Sunday who advocated the takeover of sovereign European nations, such as Germany, Greece and France, and merging them into one nation. The interview was little more than a propaganda piece; Hill, who’s now the Dean of the University of Denver, has not been in public service since 2010 and CNN fed him leading questions without challenging any of his viewpoints. CNN even claimed that Britain “might be consumed with internal chaos for years” after leaving the EU and that neighboring nations “will suffer,” but the network failed to mention the UK never voted to join the unelected, EU bureaucracy in the first place. The entire “interview” was designed to condition viewers into accepting a European superstate which only Hitler has accomplished during the height of Nazi power in 1942, which also saw technocrats in positions of power. 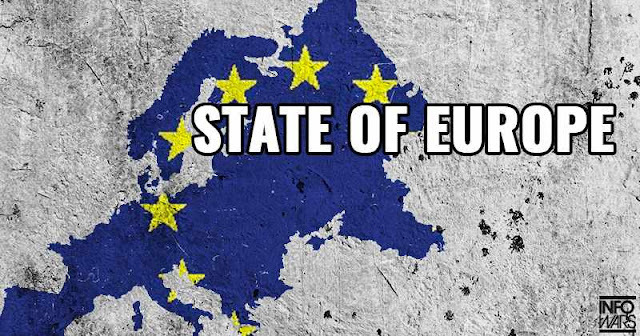 Other EU globalists are also promoting the ‘State of Europe,’ with French and German foreign ministers unveiling a superstate “ultimatum” with a “EU military” that replaces the militaries of EU nation-states. The EU technocrats are claiming the “EU military” is a response to Brexit, but they’re lying; as Infowars reported on June 23, a plan for a EU military was outlined months before, but kept hidden from the public until the day after Brexit. The technocrats want to destroy national sovereignty because they believe the population should be ruled by an unelected, technical elite, rather than representatives elected by the people. Thus it shouldn’t be hard to see why Bill Gates, George Soros, Paul Ryan, the Bush family and Pope Francis have so much in common despite their supposed differences.